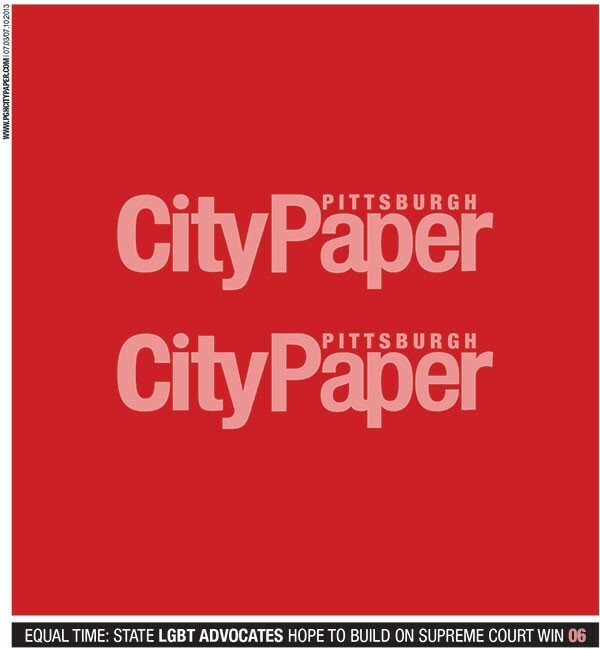 In the wake of the U.S. Supreme Court ruling striking down the Defense of Marriage Act on June 28, 2013, it was obvious that City Paper’s cover should somehow mark the occasion. Staff writer Lauren Daley wrote a story about the challenges still facing the LGBT community’s fight for equality, but the cover needed to mark this specific moment in time. Across social media, supporters of marriage equality shared a very simple equal sign to signify the moment. That symbol struck a chord with CP’s art director Lisa Cunningham, who quickly constructed an equal sign featuring the paper’s masthead. 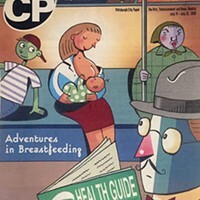 But this cover almost didn’t happen. Via emails with then-editor Chris Potter (Lisa saves all of her emails), the two went back and forth over whether the image would resonate. Other staffers liked the image, and it did in fact resonate. The issue became popular not only because most of our readers supported marriage equality, but because using our own logo in the image was an editorial show of support from our paper and our staff. The city was busy getting ready to host the 1994 Major League Baseball All-Star game at Three Rivers Stadium. Five full days of events were planned, wrote Alan Wallace. Little did anyone know at the time, the game would soon prove the only highlight of the season. The Pittsburgh Pirates were in financial trouble, and the team was starting its slide into the Loserville record books. Baseball as a whole was also struggling, as the current labor deal was winding down, and owners demanding a salary cap in order to level the playing field for small-market teams. On Aug. 12, 1994, players walked off the job, and the season as well as the World Series would be cancelled. The strike was settled in April 1995, but baseball took a hit at the box office. Writer A.J. Caliendo told us that despite the passing of the 21st Amendment, in 1933, Pennsylvania has refused to remove itself completely from America’s alcohol prohibition. Caliendo wrote that two days after the repeal of Prohibition, “the Pennsylvania state legislature established the Liquor Control Board assuring that, for at least the next 63 years, prohibition would not be completely repealed in the commonwealth.” The state has been debating the issue for centuries, but finally overhauled the law on June 8 of this year. 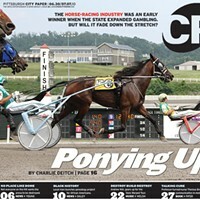 This week’s City Paper theme issue was the no-introduction-needed Broken Issue. Writers collaborated to present short articles about prominent broken items across the city, including the old Duquesne Brewery clock on the South Side, the plethora of broken crap thrown into the three rivers, and the color-photo printing in the Pittsburgh Post-Gazette. But our favorite was the history of the large, fiberglass mascot that stood in front of Elby’s Big Boy restaurants. The Big Boy mascot had been stolen several times, including once when he tried to save himself by falling on his captors. The best though, according to writer Frances Rupp (then known as Frances Monahan): A Mount Lebanon Big Boy is decapitated. Locals lose their heads over the matter. For his first-ever CP cover story, writer Charlie Deitch traveled to Hancock County, W.Va., to see the effect that expanded gambling was having on the economically depressed region. At the time, Pennsylvania was close to enacting slot-machine legislation like West Virginia had done many years before. At this point, however, any West Virginia business with a liquor license could have up to five slot machines in a back room. Some businesses opened for the sole purpose of offering gambling machines, and many bars, restaurants and social clubs had them. But the devices also could be found in ice-cream shops, car washes, newsstands and just about any other business you could think of. Rob Walgate, a recovering compulsive gambler and policy expert with a nearby Ohio think tank, warned: “The only thing gambling dollars brings is the greed for more gambling dollars.” Pennsylvania is currently working on legislation to expand gambling to online casinos, slots in airports and machines in non-casino businesses. After the unexpected death of newly elected Pittsburgh Mayor Bob O’Connor in 2006, just eight months into his first term, City Council President Luke Ravenstahl took over as interim mayor. A special election was scheduled for November 2007 to pick the candidate who would fill the rest of O’Connor’s term. In the primary, Ravenstahl faced no challengers, but a last-minute Republican write-in campaign picked local tech entrepreneur Mark DeSantis to challenge Ravenstahl in the general election. Although he was running for the GOP, DeSantis’ message of government reform, accountability and openness played well with many progressive Democrats. Writer Charlie Deitch profiled DeSantis, and the so-called Republican candidate appeared more liberal, especially on social issues, than the actual Democrat in the race. Deitch wrote: “DeSantis says the city prides itself on its sustainable physical beauty and new projects like the stadium-area development, ‘but there are other areas of this city that are falling apart. We were just named the most livable city, and that should mean that every part of the city is livable. We need to start dialog about our neighborhoods and ask, “Is this the best we can do here?” The answer in a lot of cases is no.’” It was DeSantis’ only campaign for elected office, but in 2013 he was a big supporter of current Mayor Bill Peduto, a Democrat.